You Can Also Lead a Horse to Nirvana. LAST Sunday evening, Buck Brannaman strolled the High Line, two stories above the streets of Manhattan and hundreds of miles from his native habitat, the ranch country where he runs clinics in enlightened horsemanship. 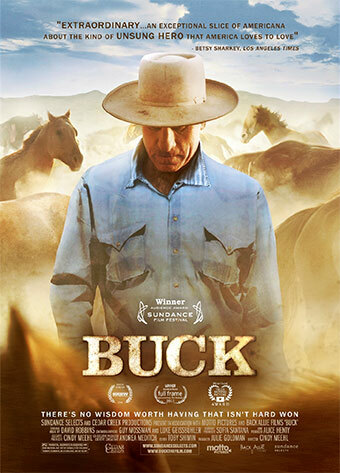 The documentary “Buck,” which won a Sundance audience award this year and will open on Friday in New York and Los Angeles, details his shaman-like skills around horses and the people who ride them. One of the big documentary hits of the year. Buck Brannaman was the original “horse whisperer,” the character who Nicholas Evans based his novel on and Robert Redford used as the on-set consultant for his film. He has a way with horses, and Cindy Meehl’s documentary is moving as he shows them engaged in dances of understanding.